Sotheby’s appears to be backing recent reports that India’s art market is poised for growth by announcing today, 10 April, it is launching its first auction in Mumbai in December. It is not the first time the firm has dipped its toe in the Indian art market. In 1992 Sotheby’s held a single sale of Indian, European and Oriental art in Delhi, but the consensus was the local market wasn’t yet ready for international auctions, and so it discontinued them. The inaugural sale, Boundless Mumbai (echoing the concept of the first Boundless Dubai auction last November), will be held at the Taj Mahal Palace Hotel. It will include works by South Asia’s best-known artists, as well as Westerners who have been influenced by the region. 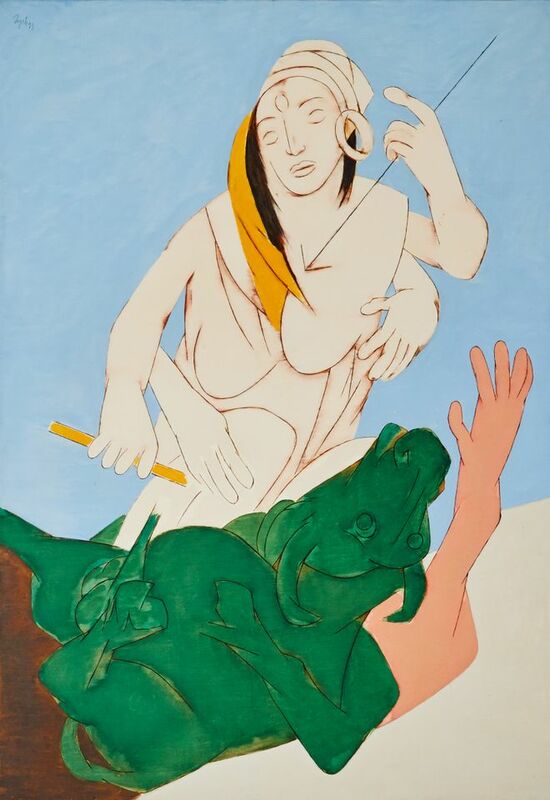 The top lot is a painting by the Indian Modernist, Tyeb Mehta, a member of the influential post-war Bombay Progressive Artists' Group, alongside other well known Indian names such as F.N. Souza, S.H. Raza and M.F. Hussain. Durga Mahisasura Mardini, which was commissioned from the artist in 1993 and has remained in the same collection ever since, carries an estimate of 20 crores ($3m). It is expected to break Mehta’s auction record of $3.6m. Sotheby’s is capitalising in other areas too. Less than a year after it announced it was scrapping buyer’s premium for online-only sales, the auction house has partially reversed its decision. Large estate sales, which are often divvied up between live auctions for higher-value lots and online-only sales for the lower value items, are thought to have caused confusion. As of 1 April, specialists can now decide on a case-by-case basis whether to apply the fees to individual lots. “After a period of experimentation, we wanted to give our specialists more flexibility in pricing, and so the decision has been passed back to them,” says a Sotheby’s spokeswoman.